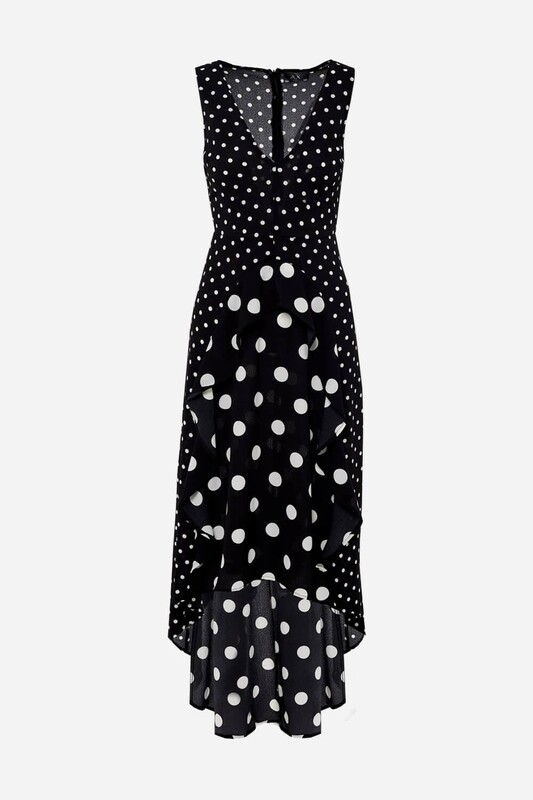 We are going dotty for this black midi asymmetric dress. Featuring a sleeveless design , all over spot print and frill detailing at the hem for added definition. This lightweight feminine dress is the perfect occasion dress, keep the accessories simple and team with barely there heels.